As we finish settling into our new center, you can still be a part of our growth! The Pender Drive Expansion Campaign is underway, and so far we have raised nearly 60% of our goal! Generous donors have pledged $25,000 as a challenge match. Between now and June 30, 2015 all gifts will be matched dollar for dollar! 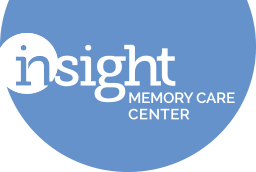 Please consider making a gift to Insight to support the expansion to Pender Drive. Insight invites interested families, businesses and foundations to participate in the Pender Drive Expansion Campaign. All gifts to the Campaign of $250 or greater will be recognized on a permanent donor wall to be included in the reception area at our new center. If you are interested in having your name on the donor wall consider making a multi-year gift to the campaign. For gifts under $10,000 donors may take up to three years to pay off the pledge. For example a pledge of $750.00 can be paid over three years with three easy annual payments of $250.00 or 36 monthly payments of $20.83. Please consider making a gift today supporting the Campaign, helping us reach our goal of $425,000. We thank you for your continued support of our center!